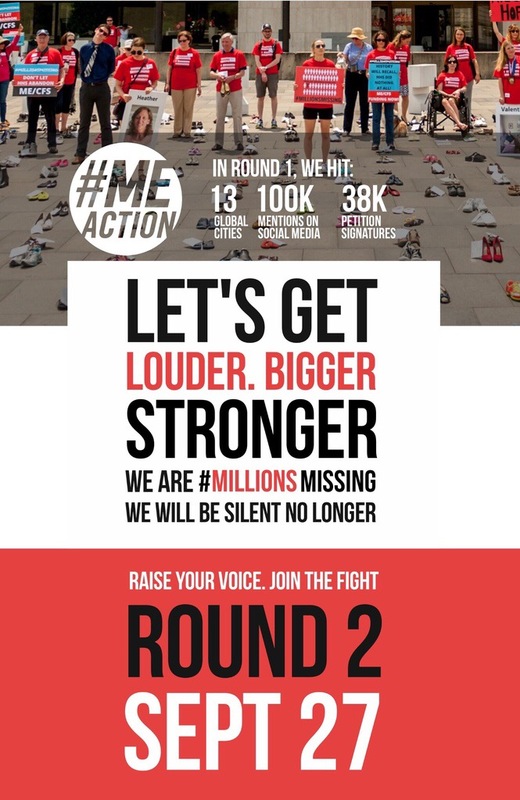 Join us for #MillionsMissing Round 2 this September 27th. On May 25th, you took to the streets in 13 cities around the world. You helped us trend the #MillionsMissing hashtag. Together, we made history. This September 27th, we want to get louder, bigger, stronger. More cities, more mobilization, more press coverage. Will you join us? I want to support a protest in my area! Copyright © 2016 The Myalgic Encephalomyelitis Action Network, All rights reserved. You are receiving this email because you are a member of #MEAction.